Imagine arriving in your homeland where you can finally settle and lay down roots. Imagine both the joy and the uncertainty of settling into your new home. 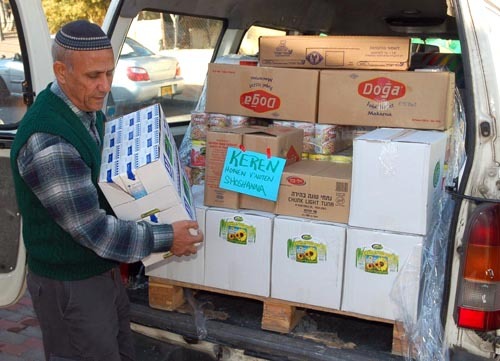 Recently, Feeding The Nations partnered with Beit Hallel Congregation, Voice of Judah Israel and Global Aliyah to provide essential household items, food packets, legal assistance and, most importantly, prayer and fellowship to 50 Ukrainian immigrants who are new arrivals to their homeland Israel. 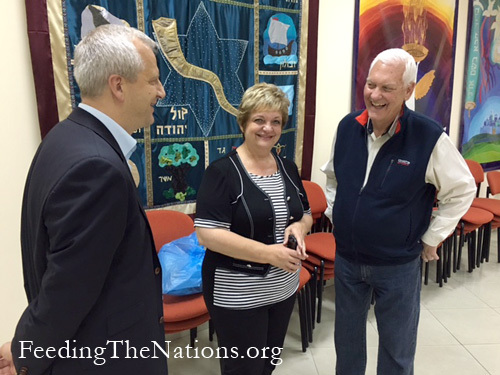 Pastors Steve, FTN president, and Diane Sumrall visited Israel and spoke to these courageous immigrants who left behind everything. The pastors expressed why Christians love Israel and are standing with them, even when our governments haven’t been so kind. 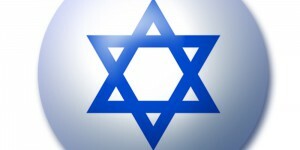 The immigrants’ needs are great and their expectations of a new life in Israel are high. 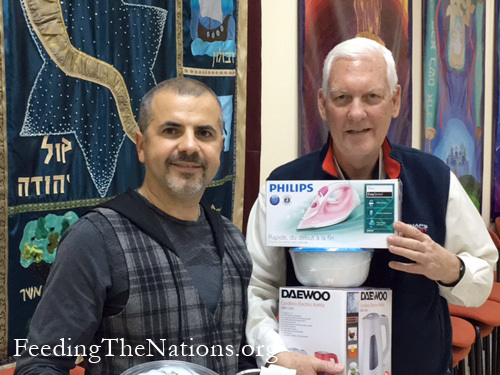 After a welcome program consisting of concert vocalists, and short addresses led by Pastor Israel Pochtar, the immigrants received a gift package of assorted kitchen items and small appliances, a blessing as they start their new lives in Israel. Many of them stopped to thank Pastors Steve and Diane for the generosity of FTN Finland and USA. Many of them registered for a tour outing to Jerusalem offered during the program where they will have the opportunity to visit many of the Biblical sites and participate in a special presentation in one of the international churches there. After receiving these gifts, a number of families lingered to fellowship and experience the love of Jesus through the staff and volunteers from Beit Hallel Congregation. Thank you for your prayers and financial support for Feeding The Nations. God has promised to bless those who bless His people Israel. May He reward you richly for your love for Abraham’s descendants. 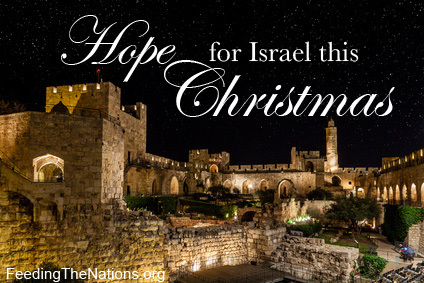 Last month we told you about the need to help God’s chosen people in the Promised Land. Because the need is so great, we want to remind you of our efforts. As we gather to give thanks for our countless blessings and enjoy the holiday season, let us not forget God’s chosen people who will not have the luxury to do so. Currently there are thousands fleeing to the Promised Land for safety and refuge. Since 1948, Israel has opened Her arms to all. Her doors are open to families of Jewish heritage from Europe, the United States, Asia, Africa and Russia. Most recently, a wave of over 50,000 war refugees from Eastern Ukraine are seeking asylum in Israel, leaving behind everything because of the aggression of Russia, its neighbor. With only the clothes on their backs, they have come to their Promised Land seeking safety and refuge. In their flight they have left behind professions, finances, homes, documentation and all of the things that we take for granted, including the simple basic necessities of life! Resettling requires resources they do not have to obtain the necessary documents. Things like birth certificates, marriage licenses, validation of education and tangible proof of existence, they are without. The expense and effort to obtain these are costly and difficult. We must help. And we will. Feeding The Nations is helping in two ways: one to meet immediate needs and the other to meet long-term needs. 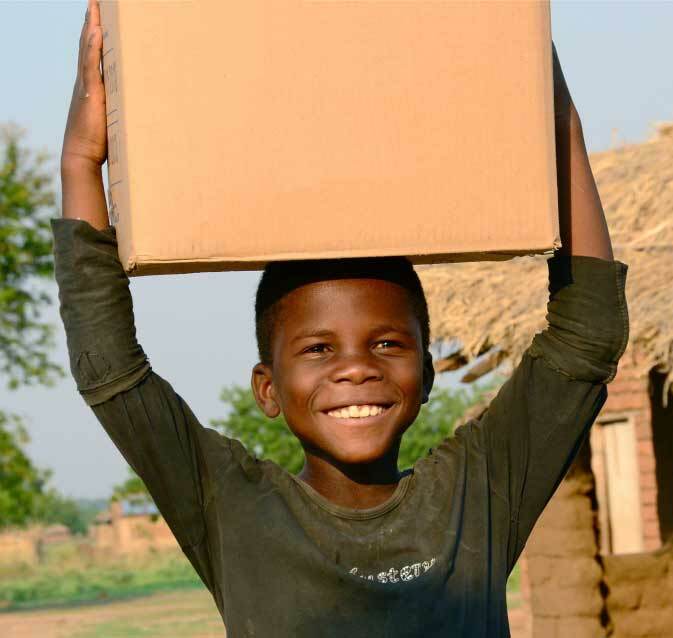 To help with urgent needs, FTN will provide family boxes that contain practical items for nutrition and personal care. $50.00 will provide a family with desperately needed assistance for an entire month! 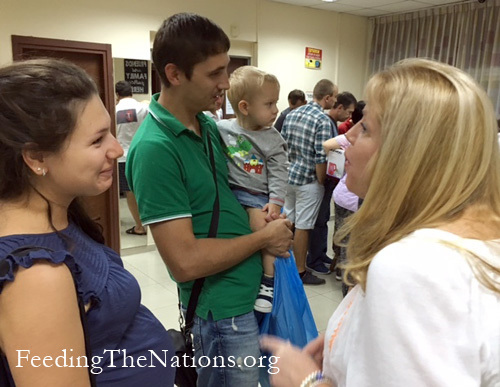 FTN is also helping by offering financial assistance to people who are seeking citizenship and asylum. Those who have entered Israel can apply for citizenship, but it takes time maneuvering bureaucratic hurdles and providing documentation. To purchase the documents necessary cost hundreds of dollars, an impossible sum for these refugees. Please pray and consider giving a generous gift of hope to families in need. Sadly, history has a way of repeating itself. The world has witnessed a rise of anti-Semitism and unless we take a stand, and proactively speak out and help, it will continue. The unrelenting senseless acts of hatred are too awful to ignore. We must help those who are suffering this despicable persecution. Today, those who stand with Israel will not be nations, but individuals. In the last days, Her allies will be the children of God, His family from around the world who will rally to prayerfully support His people. 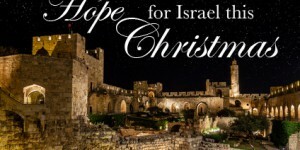 To join with us in these efforts, simply click here and designate your gift for the Israel Project. We are firm believers in Genesis 12:3 and that God blesses those who bless Israel. 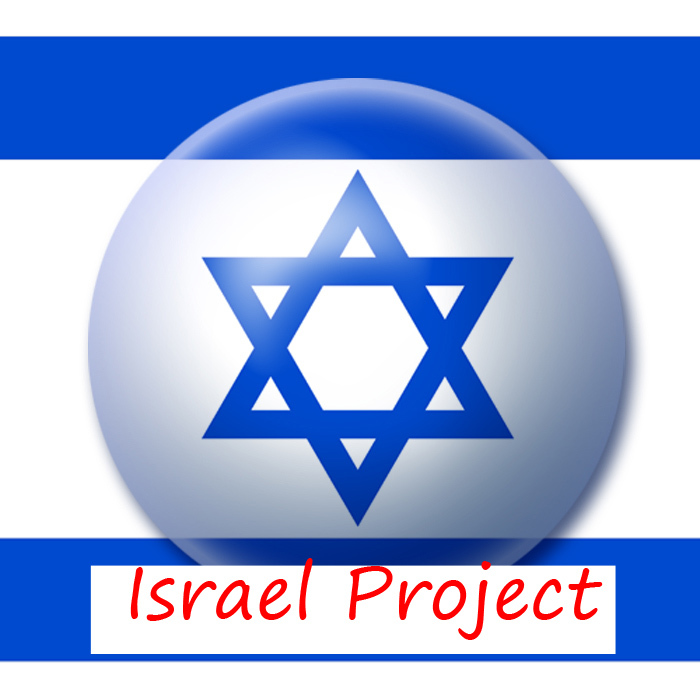 We have heard from many who would like to help Israel, so we are pleased to announce the start of a new outreach aimed at doing just that. Each month, we will provide the Voice of Judah Israel with funds to purchase food for hungry Israelis. Not only will the food help ease their hunger, but the funds will help their local economy by keeping purchases within the country, thus benefitting local businesses. Astonishingly, 1.77 million of Israel’s residents are needy. Almost half of those are children. We look forward to working alongside Voice of Judah Israel and Pastor Israel in reaching these people. The organization’s goal is to help feed the poor, while revealing to them the love of God in a practical way. Their focus is on the orphans, widows, single mothers, Holocaust survivors, World War 2 veterans and the elderly. They are helping to raise a generation of servant leaders with sensitivity to the needs of their community. At the beginning of each month, the organization purchases all the supplies needed to put together food packets. Each packet costs $20 and helps supply a family with essential food items for one month. The packets are assembled by a team of volunteers and workers at the food distribution center. The center opens once a month to pass out the packets and welcome people to sit down and enjoy some coffee or tea as they talk with volunteers. People often open up and share their struggles, while the Voice of Judah Israel volunteers and workers share hope and prayer with them. For those who are unable to go to the distribution center, the team delivers their food packets to their home. Voice of Judah Israel works closely with municipalities who often see them as a blessing to their cities and communities. They often receive requests to help more people. While their hearts desire to help as many as they possibly can, they need our help in reaching more.